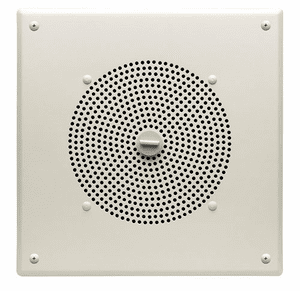 The Bogen AMBSQ1 is an all-steel surface-mounted enclosure with an 8" cone loudspeaker, built-in 1W amplifier, and volume control. 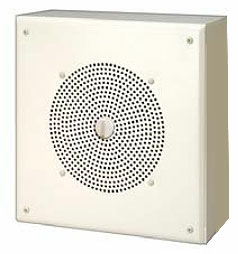 It is suitable for ceiling or wall mounting. 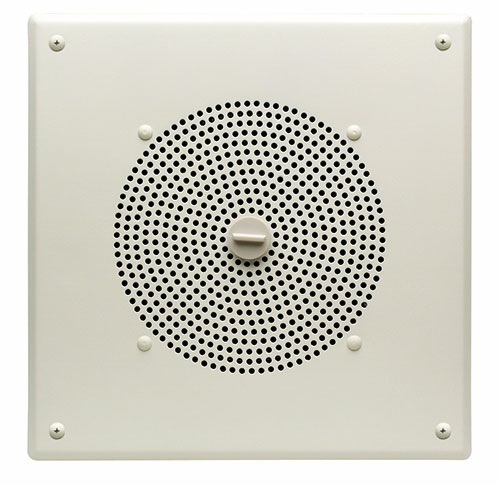 A detachable volume control knob on the grille allows individual adjustment of paging level at each speaker location.